One of my Dad’s most prized possessions was his transistor radio. It was grey in colour and was encased in a black, vinyl cover. 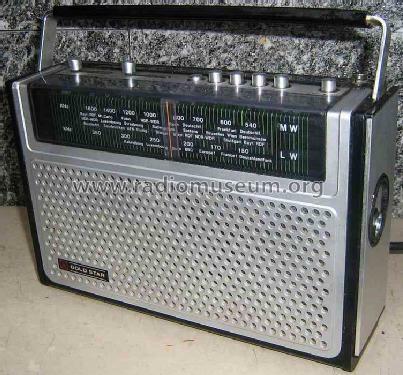 Till we were teenagers, there was no television at home, and a lot of entertainment happened only through this radio. From 6 am in the morning, till we left for school at 8.15 am, the music and voices from the radio accompanied our morning routine. We could hear a lot of static sometimes. As my mom braided my sisters’ and my hair, we sang along with the advertising jingles – some that I hum to this very day. Certain announcements served as cues for us to get ready. If we heard certain announcements, it sometimes meant that we were running late (these were the ones we only heard on the weekend). At night, after homework and dinner, as we wound down, we would listen to some lovely songs on the radio. The radio was also our greatest companion during Indian cricket matches, where all of us listened to ball by ball updates of the match. The radio stimulated our visualization skills, as we were free to picture what we wanted. There were even more exciting moments with the radio, when the famous Halley’s Comet could be seen from Earth (somewhere in the eighties if I am not wrong). My Dad woke all of us up in the wee hours of the morning. It was quite cold. And with the radio commentary for company, we walked in our garden, looking up at a clear sky, glittering with a million stars. We did not see the comet, but had a lot of fun trying to look for it. A wonderful early morning adventure, after which my mom treated us to hot mugs of chocolate. My Dad was a good singer, and on most Sundays, we woke up to his deep voice humming along with the radio. The morning and late evening news capsules were an integral part of our day. During these two capsules, we were expected to maintain silence. After the news, my Dad usually gave us an overview of key happenings. I still have very fond memories of our good old Radio Transistor. The Little Girl watched the world outside through the window. And as she watched, the first big drops of rain fell. She plastered her nose to the window, and with her finger, traced each drop as it ran down. Dare she go out? She quietly opened the door and stepped into the garden. The rain lashed away. Something broke loose in her heart and for the first time in a year and a half the Little Girl cried for her dead mother. She cried and cried, her body racked by sobs that shook her to her very core. She wanted her mom and not the stepmom her Dad had married a few days ago. The rain stopped. The Little Girl was spent, the heavy rain washing away the knot of grief that had lodged in her. She looked like a bedraggled doll, hair plastered, teeth chattering. A new emotion, fear, clawed at her heart. What would her stepmom say, would she yell? Would she be annoyed? Rainy days with her mother had been filled with hot chocolate, cuddles, giggles, her favourite samosas and ketchup. This rainy day was dark, grey and unsettling. She ventured into the house without a sound. Suddenly, she was enveloped in a fluffy warm pink towel, rubbed down vigorously, and given dry clothes to wear. When she went down after changing, she smelt hot chocolate & something being fried in the kitchen. Her stepmom’s twinkling eyes beckoned to her to eat. She took the plate of samosas and settled down in front of the TV. Small wisps of love entered and fluttered in the Little Girl’s heart. 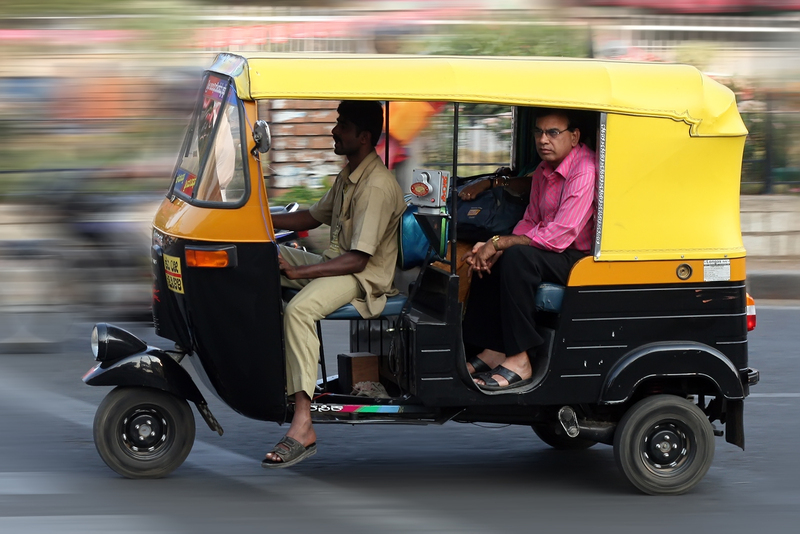 For the uninitiated, a ride in an autorickshaw in India could end up being any one of the following things – playing a high-thrill video game with unexpected happenings, riding a roller-coaster, albeit slowly, or just a super-fun ride. As for me, been there, done it and love it. It’s in the genes too. My children also love the autorickshaw. So, we are heading out to meet family at the other end of the city. The kids protest when we mention the word taxi. So ‘Autorickshaw’ it is. There are hundreds plying, but not one stops when we hail. Finally one stops for us. We should’ve figured this one out but ..well. How can the four of us fit in comfortably? There was a time when we could, but the kids have grown vertically and we, parents have grown horizontally! Both the children want to enjoy the wind, so both ends are taken. Hubby dear and I squeeze in, in the middle. Two of us rest on the seat, two move forward. Much like stuffing an already full bag, we are in, but very excited. The auto-driver starts and we are off. We have an hour-long trip. The fun part is that the auto is open on both sides and each of us take-in what we want. My son counts stray dogs and the occassional cow, my daughter looks at hoardings, I watch people, my husband, not sure, as I can’t turn my neck to see. About ten minutes into our ride, the sky is filling up with grey clouds. Where were they hiding? There is a sudden cooling effect to the breeze. Very soon the rain drops are plopping, big, grey ones. As the auto driver rides on impassively, the frequency of rain drops increases. Plop plop plop….they fall faster and faster. The kids whoop in joy. And suddenly all hell breaks loose. The rain comes crashing down in a heavy downpour. The auto moves on with an unruffled captain at the helm. Usually autos have tarpaulins to cover the sides, when it rains. This one has none. So the rain visits us inside the auto. We squeal as the cold makes contact with skin. Both kids are drenched. My stole offers some cover to the four of us. It is total fun, as we resign ourselves. Water hits the roof and sprays our faces. We wait for these moments. Outside, on the roads, traffic is thinning out. The roads look deserted. People are seeking cover under bus shelters and the ledges of buildings. In one bus shelter, a cow stands with other people, waiting out the rain. People from moving buses look down on us. I look up at them – all so serious and deep in thought. Children of a primary school are being stood in line for dispersal. They look adorable in their bright-coloured raincoats. A young couple stands under the shade of a huge tree, oblivious to the world. The auto-driver looks focused as he weaves through the traffic at the junction. He would win any video game hands down, as he deftly manoeuvres the vehicle right and left, through any small gap. Our bodies sway with the movements. The trees look green and fresh in the rain. There is a lady, with a huge, red umbrella, walking at a leisurely pace – everyone else is scrambling for cover. As the rain peters out, we finally reach our destination. We are soaked but very happy. We get treated to hot coffee, mugs of hot chocolate and pakoras! Perfect finish.